Malaysia has grand ambitions to become a region Big Data Analytics (BDA) hub. IDC expects the BDA market in Malaysia to reach US$36 million in 2015, an increase of 28% from the previous year with a five year CAGR of around 30%. The analyst predicts BDA spending will reach US$80 million by 2018. Big Data spending is outpacing overall IT spending growth rate in Malaysia indicating that the Big Data journey is gaining momentum and is expected to accelerate and contribute more to the overall Malaysia IT spending in the coming years. 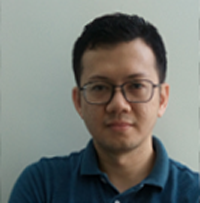 As one of the early proponents of BDA in the country, Speedminer’s CTO Thomas How shares his insight on how business intelligence is evolving throughout Malaysia and the region. Business Intelligence delivers quick and easy creation of multi-dimensional analysis of data, supports slice and dice, trending, forecasting and other analysis capability. Big Data Analytics involves data mining and predictive analytics to use past data for building model to explain the data and thus to predict specific parameter of new data. Big Data also includes Text Analytics on unstructured data where Natural Language Processing (NLP) deriving high-quality information from the text. Text Mining tasks include Text Categorization, Concept/Entity Extraction, Sentiment Analysis, Document Summarization, and Entity Relation Modelling. Big Data Analytics is a set of linguistic, statistical, and machine learning techniques that model and structure the information content of numerical and textual sources for Business Intelligence, therefore Business Intelligence and Big Data Analytics are highly related and are capable of supporting each other. Business Intelligence supposed to be a tool for business user, it must be user friendly enough that most users can handle the tool with minimum training. While BI is a powerful tool for users to gain insight into their data, organization may wish to limit the access of the tool to users who are trusted for such information within the enterprise, otherwise constraints can be put to limit the kind of information and analysis that can be performed by individual users. Some BI supports advance real world multi-dimensional view into the data where the output must be correctly interpreted to avoid misunderstanding of the data, such analysis should be put into the hand of users with proper training or proper understanding of the analysis. So, it is really the choice of individual organization, but if BI is put in the hands of all staffs, then proper access right and security on the dimension and data must be setup, and training must be provided where necessary. Many organisations that implemented Balance Scorecard started with spreadsheet, but later found it insufficient for auto consolidation, tracking, and management of the performance indicators. These organisations turn to BI for their Performance Management. The other aspects of BI like the ability to handle arbitrary timespan, performing cross subject analysis, handling huge datasets (billions of transaction), perform real time or near real time update from data source, providing Responsive Dashboard, more options for 2D/3D charting with annotation capability, alert and notification, are just some of the features that spreadsheets cannot handle. In addition, Advanced BI with Big Data Analytics support enables sentiment and predictive analysis that spreadsheets cannot provide. Ease of implementation - BI product must be easy to implement, because the easier the implementation, the easier shall the future maintenance and enhancement be. Buyers should hold a benchmarking test or a proof of concept to let BI vendors to demonstrate how easy to build the features needed by them. Through this, the buyer can be assured that the tool is suitable for their environment, performing the analysis that is needed, and is practical and usable for their organization. Standard vendor demonstration may look nice and easy, but may later found not able to deliver same quality of work. Scalable – BI with Big Data Analytics allows buyer to further implement Big Data when they are ready. Advance BI system also equipped with subsystems like Knowledge Management, Performance Management and Enterprise Reporter. BI with workflow and web application framework scale the system to allow building of simple application for capturing data otherwise not available in current IT systems. Support – How strong is the local presence and experience of the local team in implementing BI and their ability to provide consultation and advice for best practices to ensure high quality of implementation work. Price – look at total cost of ownership. Speedminer is more than a BI system that comes with Big Data analytics, knowledge management, performance management, help desk, social network, web application framework (with application builder and workflow engine), integration platform (able to establish bi-directional communication with other application) and other subsystems. It includes features such as Speedminer Responsive Dashboard that supports devices of any resolution and optimises the display of information for best viewing experience. Speedminer is CUBELESS in architecture and therefore easier to implement, and while it supports drill through like other BI product, it further provides navigation on the details transaction which cannot be supported by other BI and such feature allows Speedminer user to perform root cause analysis with greater confidence. Speedminer is the only true real time BI with application built using the embedded Application Builder, meaning once data is saved, the BI tool gets updated concurrently with no separate process needed to update the CUBE. Speedminer Integration Platform can act as the middleware to link up systems (internal and external) in any organisation, and as the data travels between the systems, Speedminer is able to keep a copy of the data for analysis and therefore avoid the need to explicitly perform ETL to extract data again.